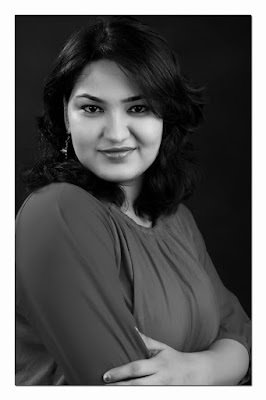 Today on Newbie Corner we have the adorable and talented author Saranya Iyer who shares my love for Jane Austen. Let us learn more about her through this chat. 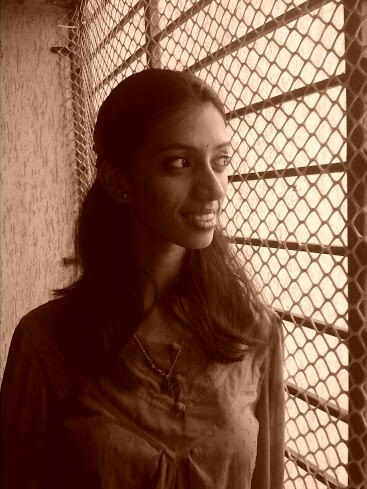 Welcome to Newbie Corner Saranya! I am an avid reader and have to read anything before going to bed. Else, my head starts to spin. But I don’t like signing up for a challenge saying 30 books to complete in a month, book marathon etc because for 2 reasons. I am a very slow reader. Secondly I love to relish what I am reading and not run to finish it soon like I am in some race. I am learning to write creatively in my each post and love the landscape it offers while on my journey. I worked with MNCs for few years and quit to engage myself in my passion called Teaching. And I am loving every bit of it. I am currently an academic tutor and Spanish trainer. How did I begin writing? Hmm, it was early and the sun had not long risen, but the sea was glassy and the sky was blue. The birds whispered to me and voices inside my head grew heavier and heavier till it reached my fingers. The impatient fingers started typing and there the journey began. Whatever I said did not happen at all. Jokes apart, I love to write poems and often play with Tamil words to form a meaningful verse. I used to read it to my family and friends. They appreciated my words and their pat acted as a motivational force. Then running behind the career happened. Everybody ran so I also did the same. Then the MBA days came. I kept a journal beside me to note down each and every aspect. The expressive writing paved the way to pour out the feelings and emotions that I went through in that two years. Then the blog bug hit me. I used to write whenever I can and loved the way it acted as an outlet to my thoughts. Seriously it was a stress reliever in those days when we breathed presentations, walked case studies, and laughed assignments. As I was an Editorial committee head, I had to churn out creative exercises using words. The name in the college magazine brought in a whiff of creative air that still envelops me and I am tightly holding on to it. Then a casual chat with my friend and partner in a content writing firm developed into my first book ‘Plantain Leaf- tales of south India’. Following that, I never turned back. Being a member of Jane Austen book society, I got an opportunity to write on Pride and Prejudice (my favorite book which I can read n number of times and still can never get bored) in the magazine ‘Timeless Austen’ written and compiled for her 238th birth anniversary. I write poems, Drama and Tragedy, period fiction though I am learning to write non–fiction and humor. I love reading different genres as it gives a perspective to hone your writing skills. 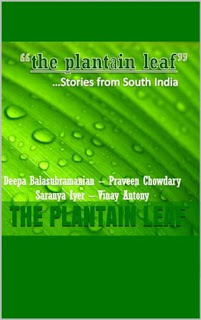 In my first book ‘ Plantain Leaf – stories from South India’, I had written a romantic saga which mixes an element of tragedy but In my second book ‘ A little chorus of love’, the story is a period fiction and tells us about the situation in that period. It is one and only Jane Austen. She is the top of the mind recall. I still recall those days where I used to read Emma and Pride and Prejudice under the covers holding the torch light in the dead night when only ghosts and monsters met and had a party. I kept the Jane’s books below the subject book to pretend that I was studying when the parental units went past my study table. Whom did I kid then? But Jane Austen’s works have kindled my passion towards literature and classics. It made me understand that writing about human nature, which is often covered in the literature, requires thorough homework and research. She is the one who shaped my writing skills and increased the quality of my writing. In the beginning, I used to follow the structure. I would write an outline about my story and shape my characters, plot, conflict, and end. That worked for me. But one story I wrote which has appeared in my published work did not follow the routine. The kink in the routine made it more creative and each day appeared to me as a surprise when I formed a different angle to the story. So I have been in both the worlds and each of them has thrown benefits to my storyline. Have you seen the latest Nescafe commercial? “Woh Roz subah Coffee lagana aur lag jana.” Like that, I don’t follow any routine. When Ideas come, I have to note it down and that comes as a blog post or Facebook post or a full -fledged story. The day job which is currently earning me the bread, cosmetics, clothes, pizzas, etc. do not give me proper time to organize and follow the schedule. I get more ideas during night or wee hours of the morning. I can write anywhere ranging from rickshaws (I get most of the ideas during traveling in a rick), office corridors, weddings, dance class etc. I love the way bloggers maintain a scheduled time for writing and I am trying to adopt that culture. Wish me good luck. There are many authors who have influenced my writing skills. Among foreign authors and poets, Jane Austen, Agatha Christie, William Wordsworth, W.B. Yeats, Paulo Coelho, Charlotte Bronte, Oscar Wilde and Harper Lee. Among Indian authors and poets, the list would be Arundhati Roy, Chitra Divakaruni, Anuja Chauhan, Indu Sundaresan and Jayashree Mishra. I will always go for Psychological thrillers and mystery when it comes to selecting a genre. But not always one would want to read the same genre so I love reading classics doused with drama and romance, poetic saga, and fiction that revolves around travel. b) In next 10 years, I would be writing for a larger audience as I wish to be a columnist in some national daily. c) I would have read many books and would be making to read list. d) I see myself traveling to many new places in and outside the country. e) And last but not the least (as this one would be taking a priority) I see myself running behind a tiny attractive human in order to get her/his homework done. I would never write about lies. Who would write a lie? You may ask but lie comes in various forms. A simple one is; say if you want to endorse a fairness cream in some website and they want you to write a blog or write up to endorse their product. Then I don’t think I will be game for it. Writing a book consumes your heart and soul so taking the book to the right audience is essential in order to give respect to your writing. Marketing one’s book is very important and necessary as it is a large and competitive market. So more the visibility, more it would act in favor of one’s book. 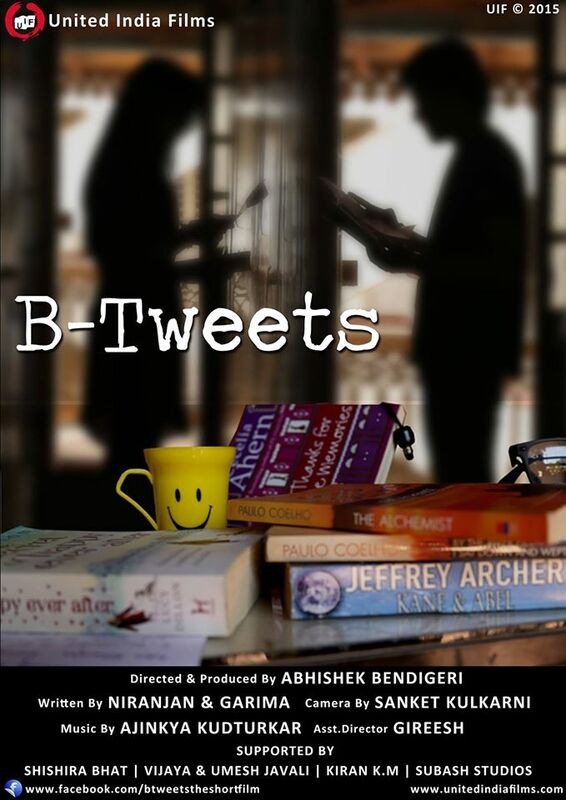 And moreover, a number of reviews and feedbacks raises the morale and acts as a motivational force for every writer. I like writing about human nature and sensitive issues that connect human beings. So emotions and the subtle nuances of those emotions are very important to me. So after I write anything, I read it myself before pressing that publish button. I want to make sure that as a reader does it make sense to me, does it reach my heart and does it strike the right chord with me. I believe every emotion can tell us so many tales. So listen to them, assimilate them and embrace the emotion. I don’t believe in writing over-optimistic posts like we can be happy all time irrespective of what we are going through. Life can never be like that and it is impossible to have that notion towards life. As music has Arohanam and Avarohanam (ascent and descent), our life too has ups and downs, and so is the case with feelings. And in order to become strong, we need to face the feelings that we are going through and act upon it. So the readers should feel that and I try my very best that my intangible voice in writing reaches them. Thank You Saranya! That was so interesting. Wishing you the very best for your future endeavors. 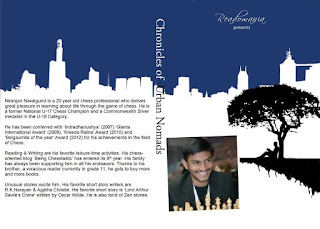 Today on Newbie Corner we have the chess champion and author Niranjan Navalgund. An interesting combo, right? Come, let us learn more about him. Welcome to Newbie Corner Niranjan! Greetings to you and the readers of Tulips and Me! I’m Navalgund Niranjan. I’m a chess player and an ardent reader. I also write in leisure. Thanks to my parents, I cultivated the habit of reading at an early age. It helped me to foray into writing as well. My journey of writing began when Amma started giving me prompts. I used to write a bit on the prompt and send it to my great grandfather. We exchanged several letters; he sent me the corrected versions of my essays along with a personal letter. I will always cherish those moments. Whenever I wrote something, my parents read it enthusiastically. They gave me the required time and attention. From 2008 to 2013, I mainly wrote about chess. 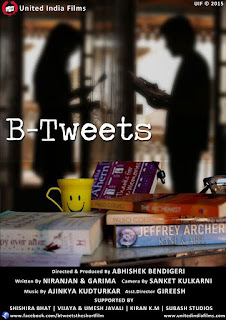 I have a blog which is 8 years old – www.beingchesstastic.blogspot.in. 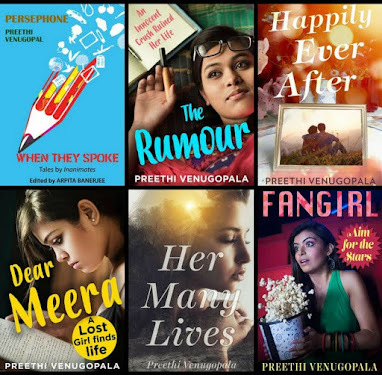 Recently, I started writing short stories and Readomania gave me the first break. I participated in a short-story writing contest. My story ‘Hide & Seek’ was published in their anthology titled ‘Chronicles of Urban Nomads.’ Two more stories attained their places in anthologies: Authors Press India published my story ‘OKAY’ in their anthology ‘As a Beginner for the Beginning’ and Author’s Ink published ‘Magic of the Mask’ recently. My Parents! They are not only creative themselves, but they also encourage creativity to flourish. My parents are poets, they both write. I owe them everything. If you would have asked this question a month back, my answer would have been different. Just recently I wrote a novella that involved a lot of planning. If you count that as an exception, I am a writer who goes with the flow. I don’t plan so much; I am no Dan brown. I have written most of my stories at home and I don’t have a schedule for writing. I write only when I am inspired enough to. I have a long list but, Paulo Coelho, Agatha Christie, and Mitch Albom top the list. I like reading thrillers and new age philosophy. I can only answer for the present. As of now, I see myself finishing this line and going to the next question. Marketing is very important for the success of a book. You have to get your book to the reader- that is the only way you can give yourself a fair chance. I believe that creativity is the key. If you manage to reach people in different ways, there is a greater chance that you will be read and appreciated. I love carving stories that have different layers and I’m very happy to have written stories that have such a flavor. Stories like that mean differently to different people. There is more than one way to interpret them. 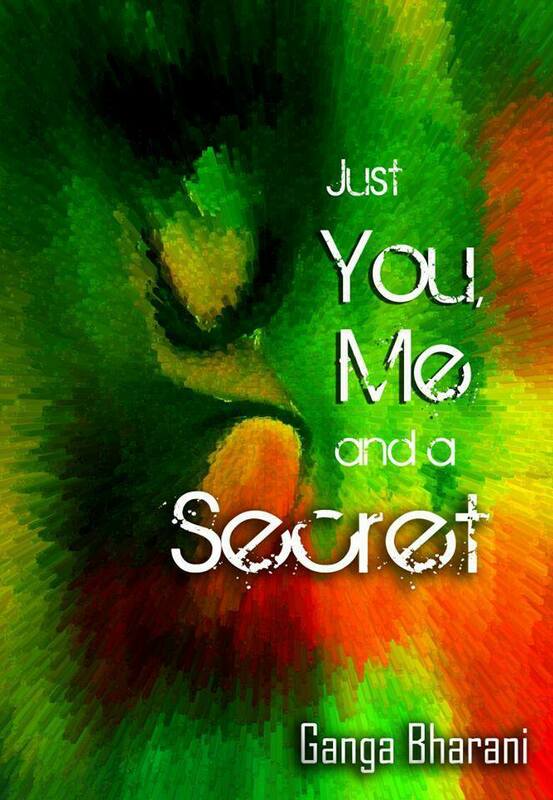 All in all, I have always tried to give a message to the seeker, leaving a part of myself in everything I write….. Thank You Niranjan. That was a wonderful chat! Wishing you the very best for your future endeavors. 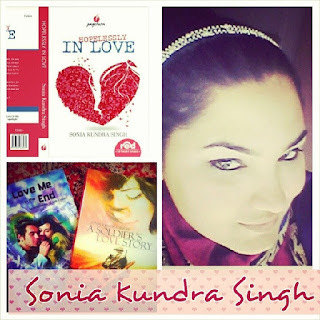 Today on 'On Writing', we have the gorgeous Sonia Kundra Singh. 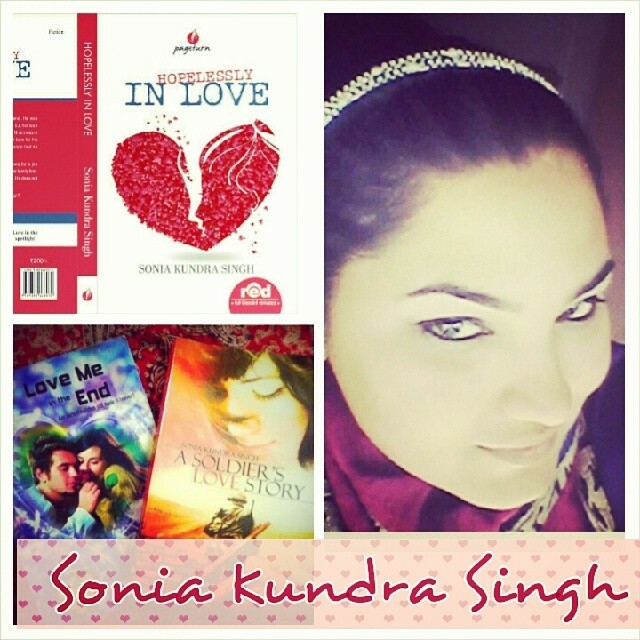 Sonia Kundra Singh hails from Hyderabad, a city that nurtured the writer in her. 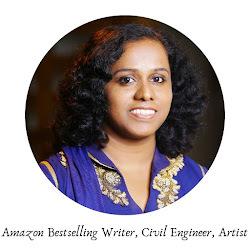 She has a Masters in English Literature and has worked as an IELTS trainer for some time before turning to writing full-time She has authored three romance novels LOVE ME IN THE END, HOPELESSLY IN LOVE and A SOLDIER’S LOVE STORY. Her short story has been featured in an anthology- MOONLIT MATINEE. She has also contributed as a short story writer for children in the very prolific magazine Chandamama. Besides writing, she loves to travel and explore new places where she draws her inspiration. Music holds a special place in her life. She is also a part of Simply Give Foundation, a Non-Profit organization. She supports and promotes awareness for Autism and often volunteers for various awareness causes and events. She is also an enthusiast blogger. Welcome to 'On Writing' Sonia. 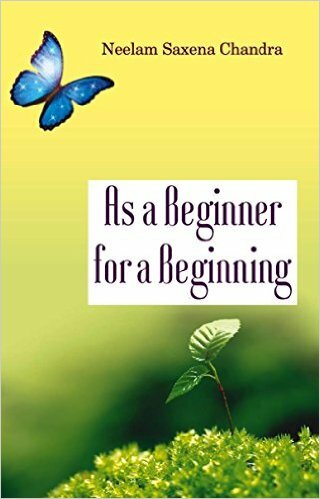 How did your journey as a writer begin? Do you have a specific reason or reasons for writing each book? In college, I was a Gold medalist in English and honestly, I never expected that! I used to scribble a lot at the back of my notebooks- scenes after scenes. And when at home, I just typed it all. I wasn’t a very social back then. My professors greatly influenced me and my dad motivated me to write if that’s what I wanted to do. There was no pressure of becoming so and so in life. Hence, writing became a natural stress-free process for me. Love Me In The End, began with a lot of expectations. That was my first book and received a lot of criticism because it was not a typical college romance and the hero was just so flawed! But the publishing scene in India was at its best place and as I started writing my second novel- Soldier’s Love Story, I didn’t bother what was expected of a book because while writing you cannot actually bother what ‘other’s would think about you. You have to follow your heart. It was refreshing when I actually found my second received so enthusiastically. Hopelessly In Love just happened. I was writing a novel on a love triangle and a hero that was plagued by his own notions than believing the truth-the publishers loved it. My novels are as much about the hero as it is about the heroine. But the only reason for me to write each book is to spread love and hope of that one true ‘someone’ out there despite the ups and downs. What does your writing process look like? Do you have any strange writing habits or rituals? I have a habit of jotting down my plot in points. Sometimes I don’t even use what I write. And I buy pretty stationary for it. My desk is always cluttered with pocket size books and pencils and sometimes I don’t write for days, just plan everything out. And that works well for me when I actually sit down to type it all. I know what I want to write and I am never stuck. I am good with writing late in the afternoons because I am done with taking care of my kid. Sometimes I don’t have a choice to write on a whim because being a stay at home mom, you write whenever you can. All three of your novels are romances. 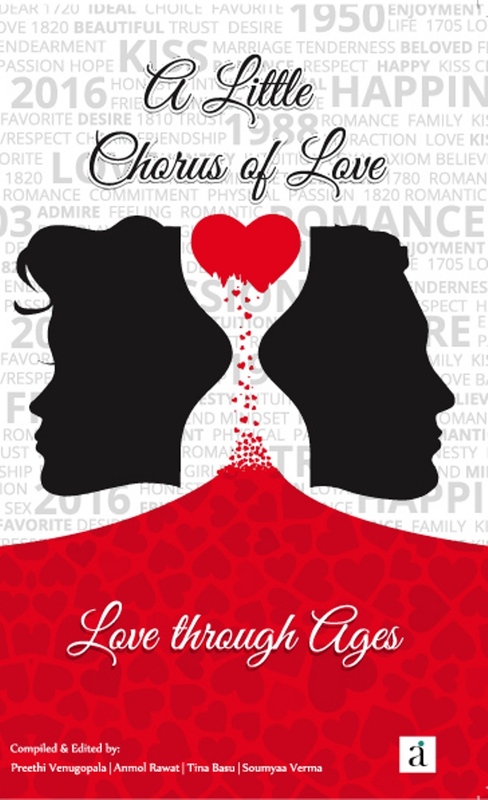 Is romance your favorite genre in writing? Is your next book also a romance? Yes, I started out writing Romances being a die-hard fan of ‘Happily ever afters’ and I would definitely love to write more of them. I have begun to experiment with short stories on my blog that is dedicated to travel and short stories. It certainly has given me a lot of artistic freedom because I really get a lot of readers there. There are two genres I would love to write on- Psychological thriller and chick-lit. I am working on the life of army wives and their struggles and it’s shaping out quite well. Who is your favorite among all the characters you have created till now and why? I love all my characters. I have tried to make each and every character different from the other because while writing a romance, you tend to get carried away with similar characteristics. 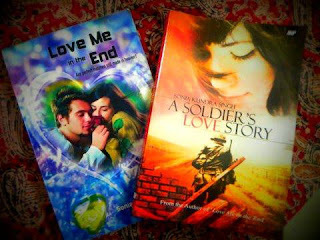 Although Ranjeet- the hero, of my second novel A Soldier’s Love Story is close to my heart. He is deeply committed, caring, a dutiful son and a passionate man. He is not perfect and battles with his battered ego and his love throughout - now that’s a great package! You are an avid reader and reviewer. Do reviews help you to write better? Reviewing helps me read and document my reading list. It also helps me know a little more about the writer behind each book. It helps me build my vocabulary and I try not to get influenced by their writing style because it’s easy to do so when you have so many good ones out there. Mostly, it’s a hobby and getting to connect with the writer on a personal level is simply a bonus. I also plan to promote books that are worth a read and do not accept just anyone for a review. There are just so many writers that have inspired me. Diana Palmer, Betty Neels, Judith Mc Naught, Julie Garwood among a few I read and re-read. Also when I write, I always have music playing in my ears. And it sets the right kind of mood of a scene. I think great music and reading inspire me the most. Traveling with my partner is another part of my life that has given me a fabulous experience about life and people. How important do you think marketing is for the success of a book? What is your best marketing tip? Marketing is great if you can do it and are ready to spend from your pocket. 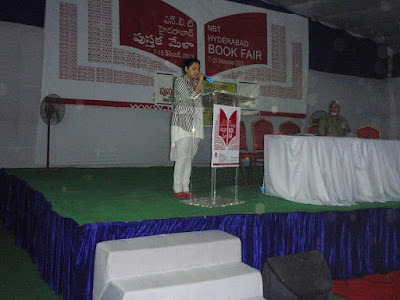 What I did to promote my novel was to promote it at book fairs. You get to meet a lot of readers there who want to try out new genres. 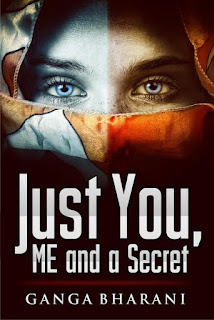 Then, blogging and connecting with others on social media greatly helped sell my books. Organizing book giveaways and contests are other ways which give a book a lot of attention. Is there one subject you would never write about as an author? If yes, what is it? No, I don’t think there is a subject I wouldn’t like to experiment with. But I am not cut out to write a non-fiction or a sci-fi. The subjects do not interest me as much. What kind of scenes is harder for you to write than others? How do you manage it? It’s always when the hero and the heroine cannot resolve their issues because sometimes I get a feeling that they really do not get along and need to find other people. But then romance is not about that, it’s about working out through the differences and coming out a winner. Romance is all about optimism in the end. What are the three tips that you have for readers of this interview, who are aspiring writers? 1) Write as if no one’s going to read it. Then edit, edit and edit! 3) Marketing is as important as writing these days. So don’t be shy to put your book out there! Thank you, Sonia. That was an interesting chat. Wishing you all the best in all your future endeavors. That is all for now, folks. 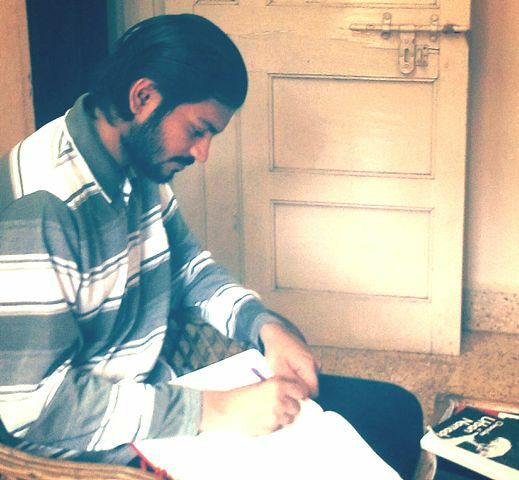 Today on 'On Writing', we have the charming and talented author and blogger Ganga Bharani Vasudevan. 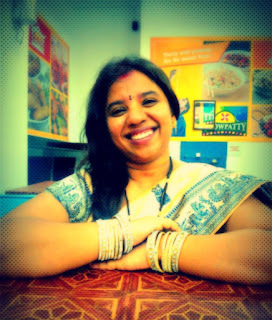 Ganga Bharani works as an IT developer with an MNC but writes following her passion for creativity. She has two award winning short films and two books titled 'Just you, me and a secret' and 'A Minute to death' to her credit. She was awarded the 'BEST URBAN CHENNAI BLOGGER' by Ecovme and Urban Tree. Welcome to ‘On Writing’ Ganga. How did your journey as a writer begin? Do you have a specific reason or reasons for writing each book? What led you to write ‘A minute to Death’? My dad used to place newspapers that called for opinion pieces on my table when I was a school- kid. I kept ignoring him for a month. Later, out of pity, I picked one up and sent my entry for a photo caption contest. The next morning my caption won and I saw my name printed in the newspaper. The feeling of seeing my own name in the print can’t be explained. That’s when I started writing. I wanted to become a filmmaker. But it was a distant dream for a middle-class girl like me. So I found a short cut to reach cinema from home; I started writing books. There is no reason to anything I do. If I feel like doing something, I do it. If a story line occurs to me I immediately start writing it and it develops with twists and turns as I write. I don’t force myself to write ever. But if I sit down to write, I write for hours together. I forget if it’s morning or afternoon. One the story stops governing my mind or takes a break from possessing me, I stop there. Talking about strange habit, I try to experience the emotions of my character before writing it. This is one reason I don’t write horror much. 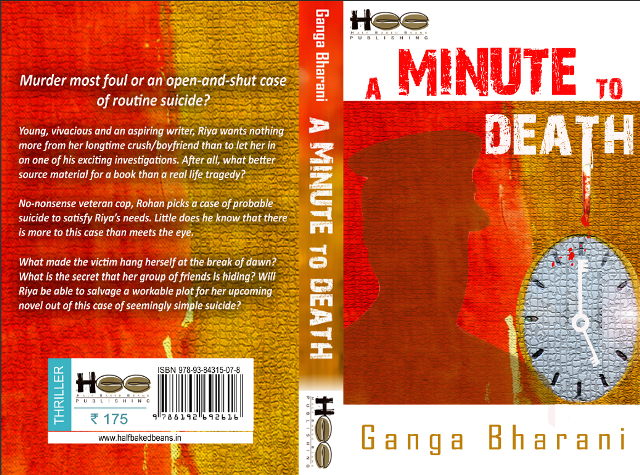 ‘A minute to death’ features a cop Rohan and a writer Riya as the protagonists. Do you have a cop as a friend who inspired the character of Rohan? I don’t have any cop friend, unfortunately. No inspiration as such for the character Rohan. But if we talk about Riya I can tell you she is a part of me. Even Febbon is a part of me. Febbon’s aspiration is mine. Riya’s thirst to learn is mine. Who is your favorite character among all the characters you have created till now and why? No doubt Riya. She emotes what I would have if I were here throughout the book. What is special about ‘A minute to death’? How much was the writing process different from ‘Just, You, Me and a Secret’? 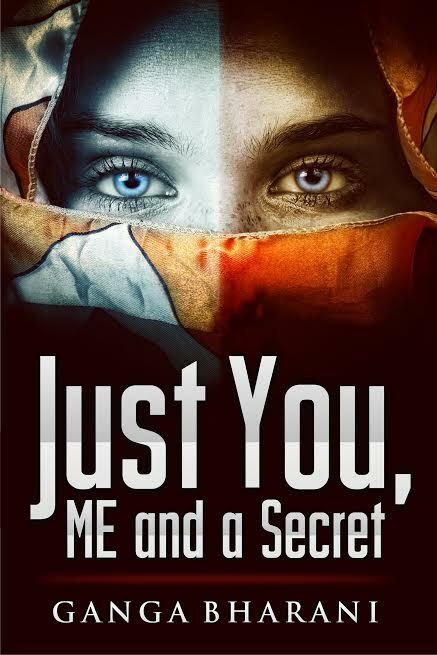 A Minute to death was written after I had signed a contract for ‘Just you, me and a secret.’ Both these were written as blog series before they were made into a book. I wrote my first book on my blog in 2011 before I started to work with TCS. During my training days, strangers (co-trainees) would recognize me and tell me they enjoyed reading it. But ‘A Minute To Death’ was written when I was depressed. I had signed the contract for my first book and had no idea how long it would take for the book to come out. Two months passed and there was not much progress with publishing. I was so frustrated and depressed. I thought I should write a powerful story on my blog to quench my thirst for readers and that’s when ‘A Minute to Death’ was born. If ‘A Minute to Death’ was made into a movie, who would you like to play your characters? If it’s made into a Bollywood movie, I would like to see Alia Bhatt and Shahid Kapoor as the leads. In Kollywood, Nazriya and Surya would be the best fit. Marketing is the key aspect of publishing these days and unfortunately, today it’s the writers’ responsibility. Marketing is not asking people to buy the book or forcing it on them. The best way to market your book is to make people know what’s there in the book and to make them want to buy it. If 50% of the people buying the book are disappointed with it what’s the point in selling so many copies? Horror. I will try my best to avoid this genre. If I do so, I might die out of fear. Anything without suspense is hard for me to write. I can’t write a plan linear normal scene. Say for example if a boy hugs a girl and kisses her on her lips I can’t describe it very well. But if I want to create a suspense in the introduction of, say, a photographer I will describe the above-mentioned scene very well and later reveal it’s a camera. 1) Don’t listen to anyone and try to copy their style or success path. Do what your heart says. 2) Don’t consider yourself a celebrity after you publish one book. Publishing a book is no big deal today. Try to become good writers than best-selling authors. 3) Please don’t write your story as a book as long as you are not Abdul Kalam or Osama bin laden. Your story should have something for readers to take away. Plain love story just to impress your loved ones can’t become a book. Wonderful Ganga. That was an interesting chat. I wish you the very best for all your future endeavors. 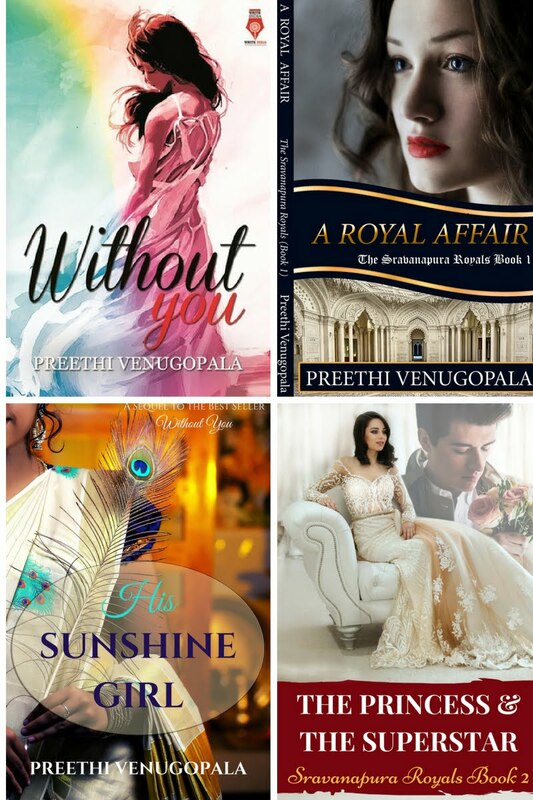 Buy her books by clicking the links given below. 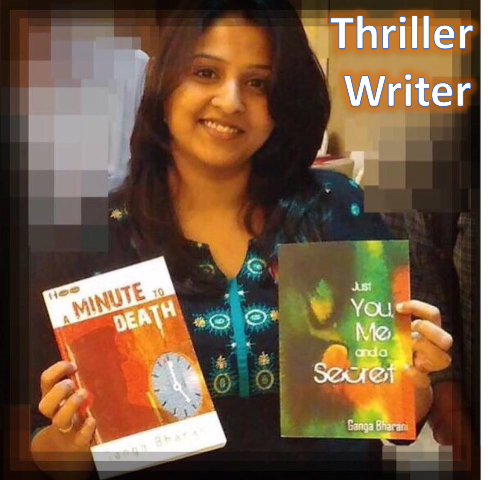 On 'Newbie Corner' today, we have the teen-wonder and talented author, Kirti Garg. 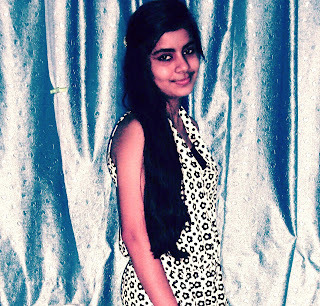 Welcome to 'Newbie Corner' Kirti. 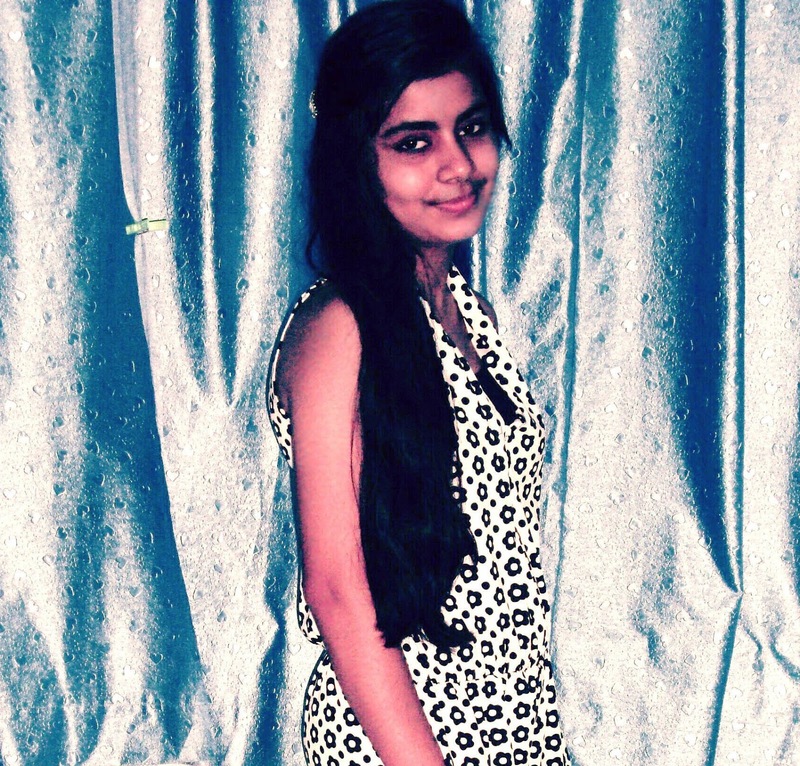 People know me as Kirti Garg and I’m a girl in my mid teens. I’m currently pursuing my higher secondary education from BBV, Pilani. Having great interest in computer programming, I aspire to be a software engineer. I have a great interest in exploring new places and learning about different cultures. It was when ‘Deergh Sharma’, a close friend of mine discovered a spark in me to write that I actually began writing poems. So, all the credit of what I’m today goes to him. I’m now a budding writer whose works have been published in online magazines including ‘Salis Online’ and ‘Sniffers’. 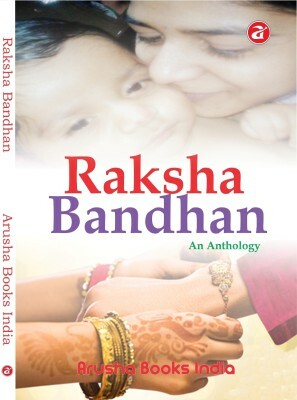 My works have been published in compilation namely ‘Raksha Bandhan-An Anthology’ and have been selected for publishing in ‘Snowflakes of Love’, ’31 Crimes’ and ‘Colors: Different Shades of Life’. I generally write poems and prefer to metaphorically elaborate my views. My writings revolve around nature and its beauty while giving a social message. 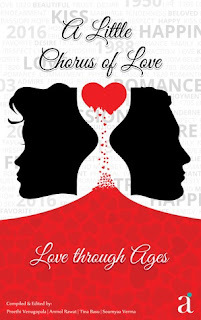 At times, I also write about love, friendship, and companionship. The only name that deserves the credit behind my creative growth is Deergh Sharma. I’m highly thankful to him for bringing me to this wonderful world of writing. I just can’t imagine what I would have been, if in case, I wouldn’t have come across him. He’s my inspiration and my mentor. My poem ‘Embellishing Love’ that is soon to be published in ‘Snowflakes of Love’ is my gratitude to him for finding in me a potential to write. I compose poems and my poems describe me. While I’m sitting idle, some two or three lines start arousing in me the intention to write that poem. And that’s how; the whole poem comes into being. I prefer to write in the lap of nature amidst the green beauty or under the serene night sky. I’m also comfortable writing in my bedroom with the peaceful environment. All thanks to my brother and sister for providing me that space while I write. In particular, there’s no one whom I would say as my favorite author. I appreciate Preeti Shenoy for her unique characterization and Sidney Sheldon for her amazing suspense. In case of genres, I prefer reading love, romance, satire, crime, mystery, and suspense. What future holds for me is something I’m totally blank about. However, I’m looking forward to seeing myself in more anthologies and writing newspaper columns. For now, that’s what my goal is. I cannot think of any one particular subject that I would avoid being an author. If I find myself capable of writing about that particular topic, I would just do. I wouldn’t limit my imaginations and would let them flow with the ink of the pen. No matter how wonderful book an author has written, if he doesn’t market it well, it’s not going to get appreciated. It’s not going to reach its readers on its own. Marketing is like the oxygen for a book. It makes a book breathe and reach the larger number of audience. While I write, I pen down my pure imaginations. Even if my piece of writing doesn’t give any message to the public out there, I make it sure that it doesn’t harm the society in any way. However, my writings speak volume about nature conservation, women empowerment and society development. Thank You Kirti for coming on Newbie Corner. Wish you all success! Do buy her book, folks. Today on Newbie Corner we have the talented poetess, Tanaya Nath Parashar. Welcome to Newbie Corner Tanaya. I guess I was 13 when I heard my cousin reciting a poem that was a political satire written by him. I was so inspired that I tried my hand at writing poetry and since then I have never stopped writing. There has been just one change that now I am more inclined to writing short stories. But poems have always been my first love. I have a blog that can be found on http://www.factfiction.in/ and have self-published a book that is a collection of my poems. 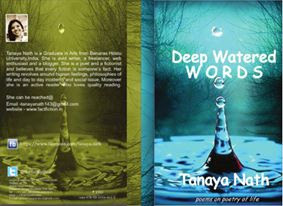 The e-book can be found at http://pothi.com/pothi/book/ebook-tanaya-nath-deep-watered-words-0 . I will be putting up the book for sale on online sites soon. I majorly write romance and realistic fiction, sometimes dark fictions, and erotica as well. I find writing a poem and short stories easy though I haven’t yet tried writing a novel. It all started with my cousin, so I have got to give him the credit. Then my school buddies were always there. I had a constant support from my family, especially my grandfather. I have been married for three years now and my father in law still keeps asking me if I have written something new. But most of all I dedicate my creative growth to my husband. It was him who turned me into an Author from a writer. He has always been the first reader of my writings. I am a ‘go with the flow’ kind of writer. I think of a theme and an opening line. Then the rest of the story follows on itself. My fingers do all the thinking. Not really. I write where and when I feel like. Sometimes it is past midnight as well or like 3 in the morning. I am crazy that ways. The idea hits me and I am on it right away. The list is long. I usually read anything printed in the form of a book. I am an addict when it comes to reading. 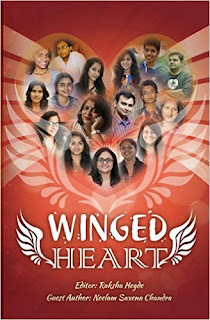 I love reading Danielle Steele, Harold Robbins, Agatha Christie, Barbara Cartland, Irving Wallace, Jeffery Archer and some Hindi language writers as well like Premchand, Anita Desai, Rabindra Nath Tagore, R.K. Narayan, the list goes on and on and on. I see myself with you again, giving interviews, but not in a newbie corner. I can’t touch comedy or political satire. I don’t have that flair in me to write any of them. I tried many times but in vain. Otherwise being a true writer, there is no topic I would want to leave untouched. Immensely. Today’s market is all about marketing. Be it a commodity, a service or a book, their success depends majorly on how well marketed they are. Reading is a habit that not only entertains but also enlightens. Get in the habit of reading quality writings. I will not ask you to follow my blog or buy my book. But I would say at least take a look and then decide what you want to do with it. If you do like it, appreciate, because for a writer, appreciation from their readers is priceless and they inspire them for writing better. Thank you Tanaya for coming on Newbie Corner. All the best for your future endeavors.